(Macao, Sept. 7, 2018) – Sands Resorts MacaoSands Resorts MacaoSands Macao Fashion Week,running from Oct. 18 – 24, 2018. Highlights include the gala event to launch the week, runway shows and exhibitions (see appendix for timetable details). Designed to showcase the many leading luxury and lifestyle fashion brands housed at Sands Shoppes Macao, the event will offer fashion parades and other special events for both the industry and the public to enjoy. This year Emporio Armani, in collaboration with the Rainbow Group, will be the headline brand forSands Macao Fashion Week.Emporio Armani will showcase its Fall/Winter 2018 collection at an exclusive invitation-only gala event for up to 220 VIP guests, media and key industry influencers on Thursday Oct. 18. A full-scale trunk show will feature up to 60 looks from the brand’s ‘see now, buy now’, ready-to-wear collections. Group runway shows open to the public which were extremely popular last year will once again be brought to life at Shoppes at Venetian and Shoppes at Parisian. 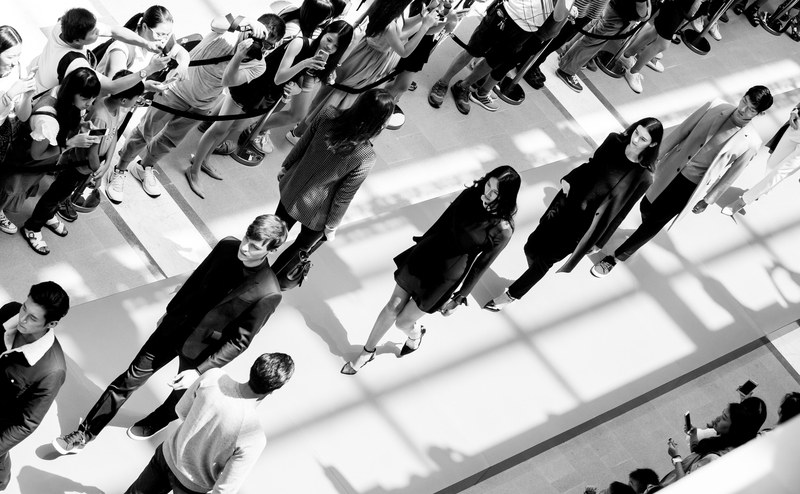 Guests will be able to see the latest collections from a wide range of stores at a series of runway events at Shoppes at Venetian on a catwalk over the Grand Canal itself on Oct. 19 - 21. The first Walk on Watershow will feature the debut 2019 Spring/Summer collection from talented local Macao designer Nuno Lopes,the first Macao fashion designer to be featured in Vogue magazine and participate in London Fashion Week. He was also recognised at Fashion Asia Awards 2016 as one of ‘Asia Top Young Fashion Designers’ and his designs are worn by socialite Paris Hilton alongside prominent Asian and international artists. CALVIN KLEIN JEANS EVISU HARDY HARDY MAX & Co. Guests are also invited to a series of runway shows at Shoppes at Parisian’s Avenue Champs-Élysées on Oct. 19 - 21, set against the backdrop of the iconic Eiffel Tower, where the latest fashion looks and trends for the season from a selection of stores will be showcased. The closing show will pay homage to more local designers and will be hosted by the Macau Productivity and Technology Transfer Center. Ten Macao fashion brands will showcase their exciting new collections. Eight local designers will also showcase outfits as part of an exhibition taking place at The Parisian Macao’s Rotunda, from Oct 18 - 24. For more information about Sands Macao Fashion Week, please visit: https://en.sandsresortsmacao.com/smfw.html. Photo caption:Sands Macao Fashion Week, to be held Oct. 18 – 24, 2018, will see seven days of fashion events including runway and boutique shows throughout the integrated resorts. For more information, please visithttps://en.sandsresortsmacao.com/smfw.html. Sands Shoppes Macao is the largest duty-free luxury shopping experience in Macao, with over 850 retailers featuring the world’s best duty free brands, all under one roof. Consisting of the interconnected Shoppes at Four Seasons, Shoppes at Venetian and Shoppes at Cotai Central, it now adds the 300,000-square-foot Shoppes at Parisian, offering the latest in fashion and couture in a setting reminiscent of the streets of Paris. For more information, please visithttps://en.sandsresortsmacao.com/shopping.html.